I.T.E.M. accommodates special orders, custom designs and products not readily available in stores. Personal service and attention to detail is the hallmark of our company. Our services are available for contract production. With our capabilities, dielectric sealing, hot air welding and commercial sewing we can manufacture your product to your specifications. I.T.E.M. works with all fabrics including but not limited to, polyethylene, polypropylene, polyurethane, neoprene, vinyl coated, vinyl laminate, polyester, nylon, cotton duck, , and many others. Trucking and Transportation industry I.T.E.M. manufactures all types of truck tarps including: * Roll Top Covers. * Specialized Asphalt Tarps and Covers. * Flat Bed Lumber and Steel Tarps. * Vinyl Sided Van Trailers. * Dumpster and Container Covers. * Dump Truck Tarps for all load requirements, as well as custom Cargo Control Tie Downs. Agriculture and Farming industry I.T.E.M. manufactures: * Peanut Dryer Plenums and Ducting, * Peanut Trailer Roll Top Covers, * Planter Box Covers and Seed Tender Covers, * Fertilizer Trailer Roll Tops, * Hay Mower Guards and Hay Cover Systems, * Shade Screens and Shade Structures, * Cotton Picker Basket Flaps, and Combine Harvester Hopper Covers. I.T.E.M. Custom Designs any type of equipment or machinery cover to your specifications. Commercial industries I.T.E.M. manufactures: * Tents and Equipment, * Awnings and Custom Covers, * Portable Structures, * Portable Green Houses, * Shade Sails, * Shade Structures, * Backyard Pond Liners, * Water Fountain Covers, * Trampoline Mats, * Pool covers, * Outdoor Movie Screens, just to name a few. Construction industry I.T.E.M. manufactures: * Windscreens and Confinement Covers and Screens, * Ground Cover, * Environmental Protection Covers, and any type of Equipment or Machinery Cover. Industrial Products I.T.E.M. manufactures include: * Warehouse Curtains and Partitions, * Machinery Covers, * Welding Screens and Curtains, * Ventilation and Ducting, * Bags and Material Handling, * Tank Liners and Liquid Containment. Marine Industrial Products I.T.E.M. manufactures include: * Ocean Salvage Harnesses and Rigging, * Underwater Lift Bags, * Floatation Bags, * Inflatable Floats, * Environmental Hazard Containment Booms, * Any type of Equipment Cover. Also provides several invaluable services for companies or individuals seeking to have their product manufactured. I.T.E.M. provides Custom Design services, prototype development and full scale production. With our extensive knowledge of available materials and suppliers, I.T.E.M. will take your product from the drawing board to the real world global market. Sports and Recreation industry I.T.E.M. 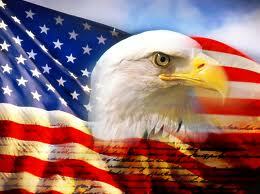 manufactures: * Baseball Field Covers and Outfield Fence Skirting. *Football Turf Protection and Equipment Covers. * Tennis Court Windscreen, Backdrops, Divider Nets and Curtains. * Gymnasium Floor Protection Covers, Partition Curtains and Bleacher End Covers. * Swimming Pool Covers. * Shade Screen Structures and Shade Sails. 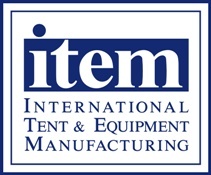 International Tent and Equipment Manufacturing, produces a wide range of commercial, industrial and retail products for many industries.